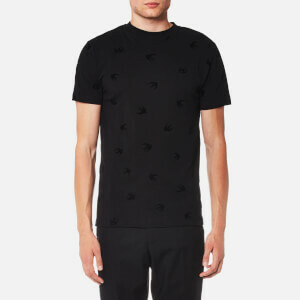 Men’s ‘All Over Swallow’ T-shirt from McQ by Alexander McQueen. Cut from super-soft cotton jersey, the black tee features a classic crew neckline, short sleeves and a straight hem. The iconic swallow print appears across the front and back in tone-on-tone velvet.